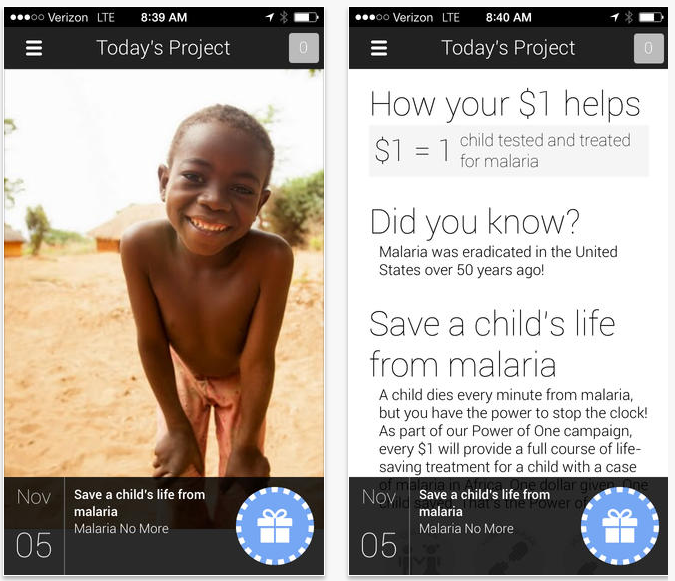 Google has released One Today, its mobile app to promote charitable causes app, for iOS, some five months after the service debuted on Android. The app showcases a different non-profit organization each day, providing a payment facility that lets users donate $1 to the cause. Details of organizations can be shared with friends from inside the app, and there’s an option to match friends’ donations. All donations are tax deductible — another good reason to check it out. Read next: What's the future of mobile messaging apps? E-commerce, among other things.